Rolling Stone has a long interview with George R. R. Martin, writer of the Game of Thrones series. I saw him signing books at the World Science Fiction Convention some years back, and he was already a star before HBO turned his series into a mass market hit. One of the reasons why the series (a riff on the kind of clashes seen between family dynasties in the Middle Ages, set in a kind of fantasy Europe) is popular is its realistic portrayal of both responsible and irresponsible lusts for power, unintended consequences, and the difficulties of governing even for those of noble intentions. Everyone acts out of what they think are their interests, and in keeping with their character, and yet the results are often completely unexpected and tragic. Q: A major concern in A Song of Ice and Fire and Game of Thrones is power. Almost everybody – except maybe Daenerys, across the waters with her dragons – wields power badly. A: Ruling is hard. This was maybe my answer to Tolkien, whom, as much as I admire him, I do quibble with. Lord of the Rings had a very medieval philosophy: that if the king was a good man, the land would prosper. We look at real history and it’s not that simple. Tolkien can say that Aragorn became king and reigned for a hundred years, and he was wise and good. But Tolkien doesn’t ask the question: What was Aragorn’s tax policy? Did he maintain a standing army? What did he do in times of flood and famine? And what about all these orcs? By the end of the war, Sauron is gone but all of the orcs aren’t gone – they’re in the mountains. Did Aragorn pursue a policy of systematic genocide and kill them? Even the little baby orcs, in their little orc cradles? ← Fat Doesn’t Make You Fat. Government Guidelines Did! I was contemplating what bothers me about GoT the other day, and it came to me: this is NOT fantasy, in the genre sense. Yes, it is a well written and absorbing fantastic history with fantasy elements, but I think that genre fantasy has an assumption of morality play about it. Characters are presented with tasks or journeys to perform, and those with the right character are the heroes. The realpolitik of the GoT characters is far from the morality play of conventional genre fantasy, of which LOTR is a primary exemplar. The elements of reality (arbitrary death and suffering, political power as the measure of success, no moral boundaries, etc.) may make it an interesting read, but I don’t think it is genre fantasy any more than something like A Handmaid’s Tale is genre science fiction. While people in stories must behave enough like real people to be believable, that doesn’t mean there must be no heroes, no morals, no “right action”. The characters in fairy tales are “realistic” in a psychological sense, even if their actions and settings are fantastic. I think genre fantasy requires the depiction of right vs wrong, just as fairy tale does, and in that sense I don’t think GoT qualifies. This is why LOTR is such an enduring model. GoT is a cultural phenom, but I don’t think it will endure in the same way — doesn’t satisfy the same needs. I think you’re right about that. GoT has little aspirational/inspirational content you’d normally expect from fantasy or epic stories – which makes it more modern and unusual. If anything, it’s hyperrealistic because the betrayals and drama are constant at a high level, when in real life long periods of calm and stability were interspersed with the power struggles. If you are used to a diet of conventional fantasy, this will either turn you off or make it more interesting, as “House of Cards” is refreshing after a diet of idealistic “West Wing” political dramas. 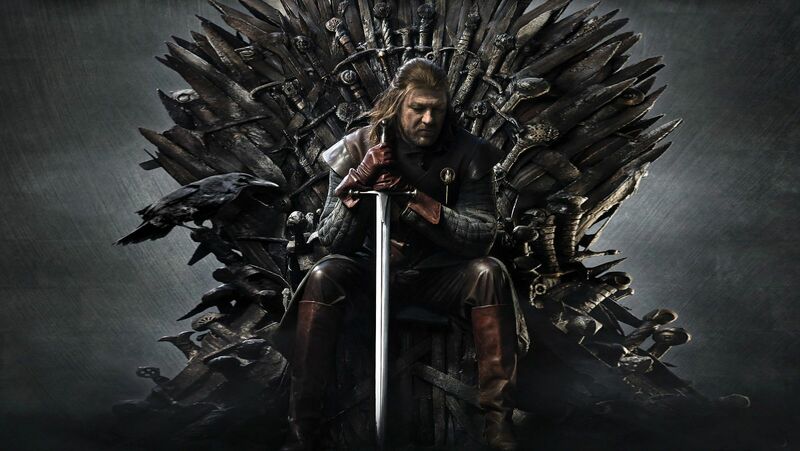 GoT is much more like a historical novel than like fantasy (from the genre perspective). Nothing wrong with that.